US President Trump has revealed in an interview with CBN News that he and Russia’s President Vladimir Putin “get along very well” and “that’s a good thing.” However, he thinks Putin would have been happier if Hillary Clinton had won the elections. While the goals of President Putin are quite different from his, Donald Trump told CBN News on Wednesday, since the both statesman seek prosperity for their countries, they can find some common ground. "Well, he wants what's good for Russia, and I want what's good for the United States. And I think in a case like Syria where we can get together, do a ceasefire, and there are many other cases where getting along can be a very positive thing, but always Putin is going to want Russia and Trump is going to want the United States and that's the way it is," Trump said. The announcement of the ceasefire deal brokered by Russia, the United States and Jordan was made following the meeting between the two leaders on the sidelines of the G20 summit last week. It took effect on Sunday in the southwest Syrian provinces of Daraa, Quneitra and Suwayda. It applies to both governmental forces and militant groups there, and will be enforced by the military forces of the three countries. The truce is designed to end hostilities and allow aid deliveries to the war-torn regions. The very first face to-face meeting between the two leaders on the sidelines of the G20 summit proved to be fruitful and helped them to “get along,” Trump stated. Despite “getting along” with Putin, Trump believes that Russian leader would actually be happier if Hillary Clinton had won the 2016 US presidential elections. “As an example, if Hillary had won, our military would be decimated. Our energy would be much more expensive. That's what Putin doesn't like about me,” Trump said. “And from day one I want fracking and everything else to get energy prices low and to create tremendous energy. We're going to be self-supporting, we just about are now. We're going to be exporting energy – he doesn't want that. He would like Hillary where she wants to have windmills. He would much rather have that because energy prices would go up and Russia as you know relies very much on energy,” he added. 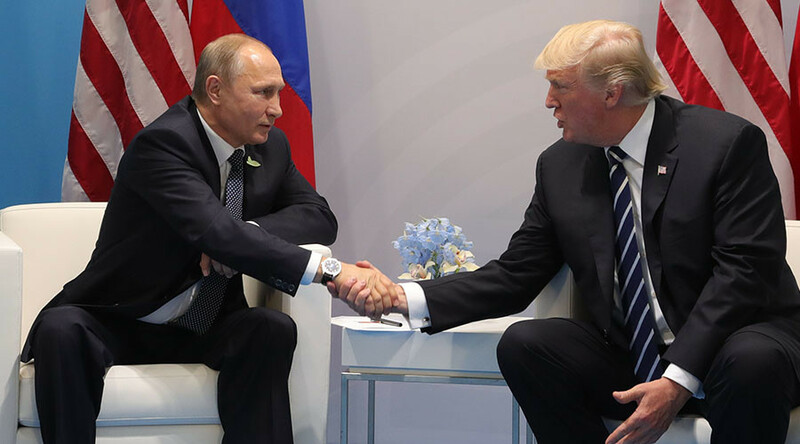 During his presidential campaign, Trump praised Putin’s strong leadership and military efforts to defeat terrorists in Syria, as well as calling for a dialogue between the two countries which have had souring relations in recent years. The alleged Russian meddling in US elections, which has been fanned by US media, has brought the relations to a whole new low. “I would say the level of trust [between Russia and the US] is at a workable level, especially in the military dimension, but it hasn’t improved. 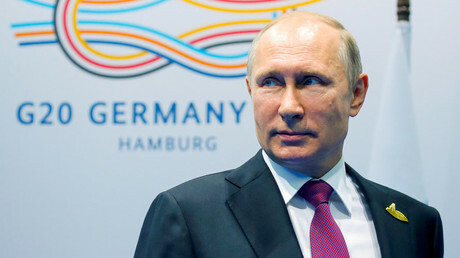 On the contrary, it has degraded,” President Putin said in April.